Demo today (Thurs 28th Feb): 'the big one' | 1pm Library Square | Bring workmates, friends, and yellow squares. Originally posted by the Education Workers Network. 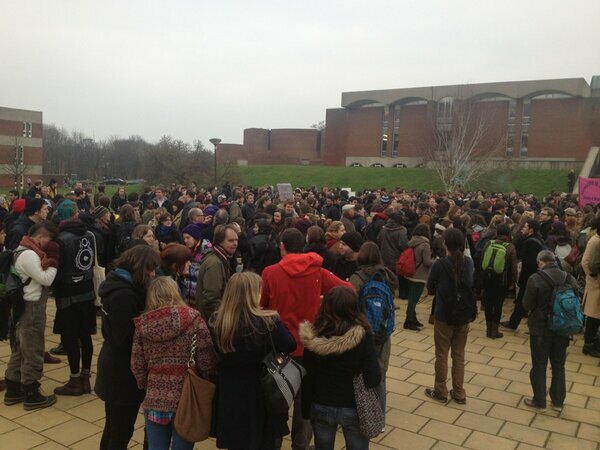 On a recent demonstration, for the first time staff outnumbered students. The demo was huge, and lead to a second occupation of the medical school lecture theatre. Statement here.